I have a secret. 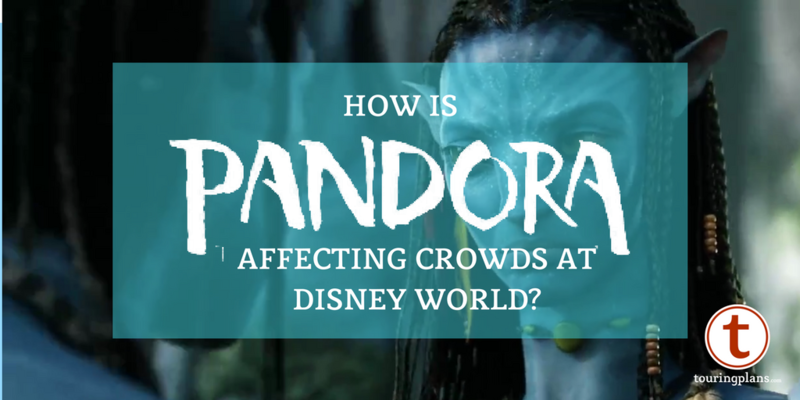 It’s kind of shameful in the eyes of many Disney fans. It’s definitely shameful in the eyes of those who enjoy good food. I was really sad when Pizza Planet closed earlier this year at Disney’s Hollywood Studios, because I actually liked the pizza there. I’m sure many are now completely questioning any dining reviews I’ve ever written, but it’s true! It’s not the best pizza at Walt Disney World (which I’ll rank in an upcoming post), but it served its purpose – fast, relatively cheap, and meets the cheese-sauce-bread ratio that qualifies it as “pizza”. 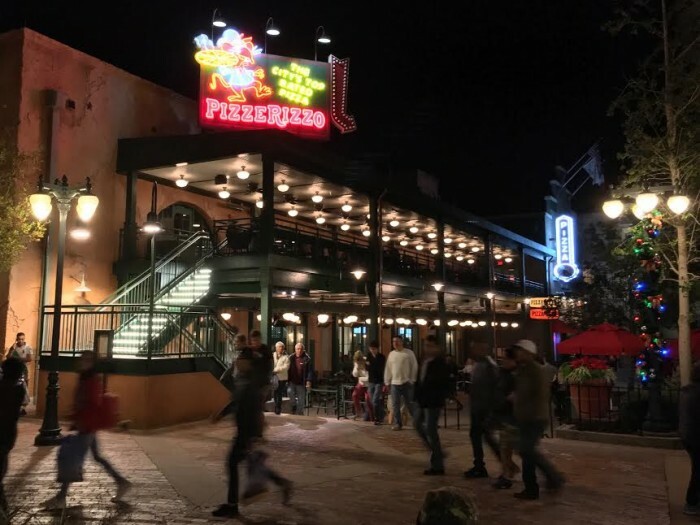 I wondered, therefore, whether changes made in the transformation of the Toy Story-themed Pizza Planet to the newly opened Muppets-themed PizzeRizzo would also affect the pizza. 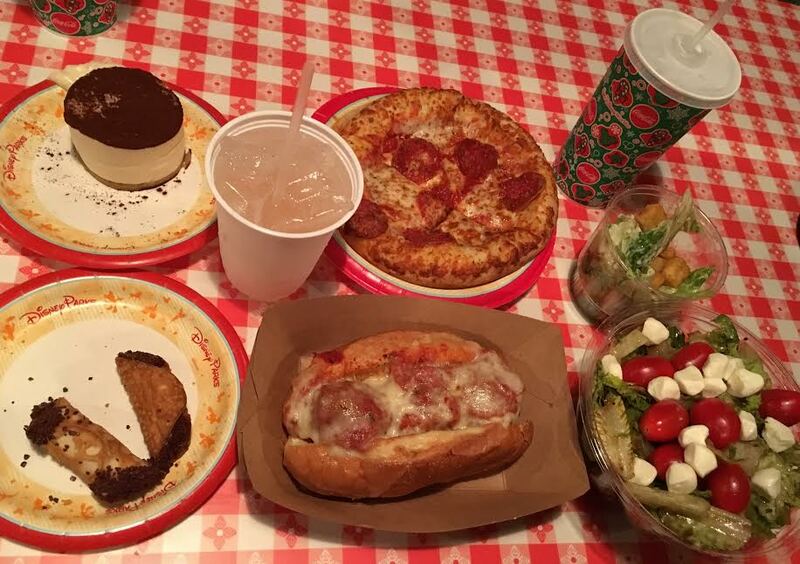 In short: no, it’s still the same pizza (and side salads, and meatball subs). For many of you, that’s probably enough of a review to know what you’re getting into (same food, new themed area surrounding your dining table). 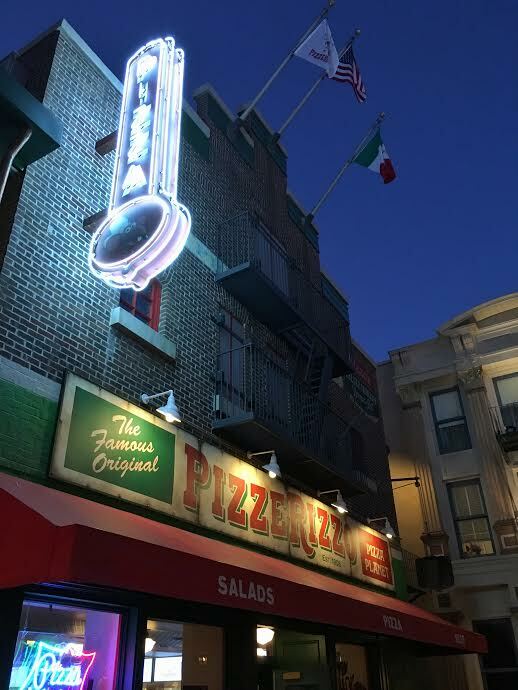 I will say, though, that a few things about PizzeRizzo pleasantly surprised me, which I’ll share below. The restaurant’s first impression is now pretty different compared to before: the ordering area is much, much larger, perfect for the large crowds this eatery tends to draw. The seating areas have also expanded, with much more seating available both downstairs and upstairs, indoors and outdoors. This should help curb the claustrophobia and noise complaints common from the Pizza Planet days. Muppets décor isn’t over the top, with a few subtle references to characters and long-running bits from the movies and shows in the art adorning the walls (and even the trash cans). Be sure to take a close look around the photos and records hanging around the indoor upstairs area – you might spot a familiar face or name. 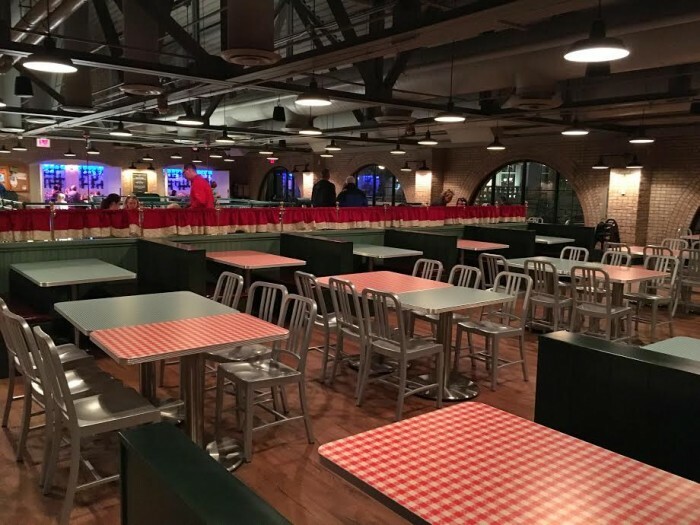 Practically speaking, I was happy to see PizzeRizzo now features several booth seating areas along with standard tables, including some along the periphery of the building that seat large parties of 8 or more people. Some of the booths even feature privacy curtains between them, a welcome nod to classic pizzerias that also made for a quiet meal a few days after opening. There’s even a “dance hall” area in the upstairs dining room, complete with tacky banquet hall chairs and a disco ball (but thankfully, no blasting music – it was a pretty good sound level to still be able to hold a conversation). But how was the food? Well, it took a little while to find out. 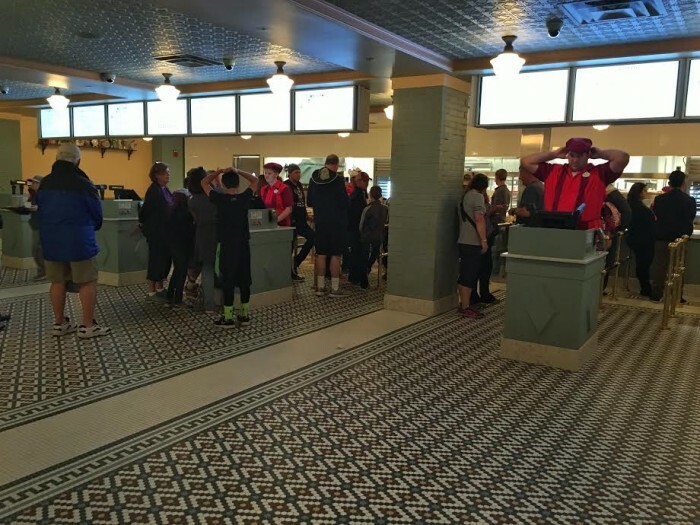 The ten minute wait for our order (in a fairly uncrowded queue) seemed to be a function of Cast Members trying to get used to the space, and not the food itself, so hopefully this works out in the weeks and months to come. I spent a little under $50 for a meatball sub (and side salad), a pepperoni pizza (and side salad), the antipasto entrée salad, two desserts, and one non-alcoholic drink – for quick service at Walt Disney World, this is pretty standard and not unexpected. We easily had enough food for three adults, and you could definitely split many of these options with kids, too, if the tiny pizza meals on the kid’s menu aren’t your speed. 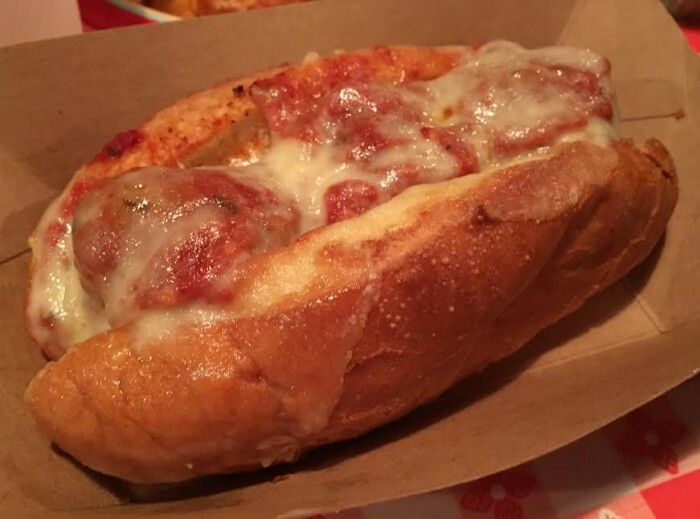 First tastes of the meal came from the meatball sub – slightly herby, with mild pork and beef flavor, this sandwich came with three meatballs in a chunky red sauce under melted provolone. The marinara here doesn’t have a ton of flavor, but the meatballs are just fine. This isn’t groundbreaking stuff – you’ll find similar sandwiches all over your local sandwich shop menus, and it’s the same sandwich served here before – but it’s relatively good and filling. Alongside the sandwich, you also get a cup of Caesar salad (pre-dressed, be warned: very heavily). 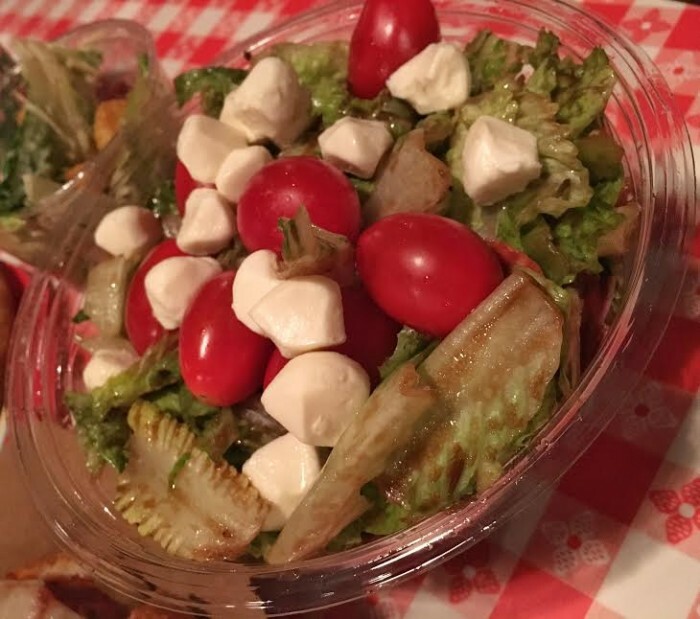 I have had luck asking for no dressing, dressing on the side, or substituting the dressing for these salads, so things are generally pretty flexible if you’re looking for something outside the default. The pepperoni pizza was exactly as I remembered it: zesty marinara, a light layer of mozzarella, and oven-crisped pepperoni on a soft, bready pizza dough. I love this stuff, and can’t really explain why. It’s pretty saucy pizza, overall, and the dough was perfectly done for me in this context – a little crispness to the outside, and fluffy inside. 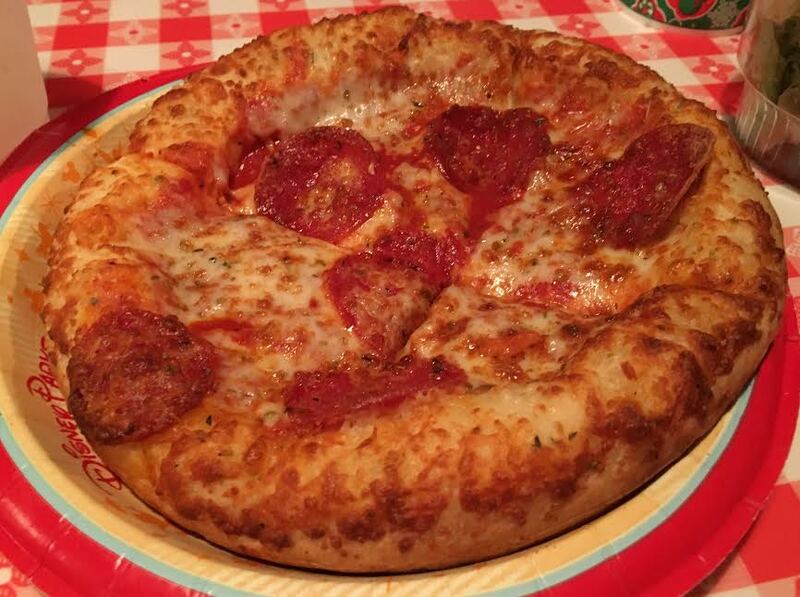 Again, by no means is this going to blow your mind as the Best Pizza Ever, but for the price, it’s a better option than many quick service meals in Disney’s Hollywood Studios, particularly if you are dealing with picky eaters in your family. The standout dish for the meal, though, was the antipasto salad. Just like the side salads that come standard with the entrée pizzas, this was a tad overdressed for me, drowning in a slightly sweet balsamic vinaigrette, counterbalanced by briny olives and salty ham, pepperoni, and salami with a few mini balls of mozzarella and large cherry tomatoes. Overall, this is a great buy for the price if you want a lighter meal (or at least something that’s not completely carb-dependent). I found myself coming back to this salad for bites even after I’d finished eating dessert – I’ll definitely be back for this in future visits to the park. Aside from the standard fountain soda options (and a few alcoholic drinks), PizzeRizzo offers a non-alcoholic peach bellini that sounded like it was worth a try. You never know what you’re going to get with these types of drinks, and at $4.99, it’s not a cheap whim, but overall, this was relatively innocuous. Sweet as can be (as I’d expect with peach flavor), this tasted like lemonade mixed with concentrated peach juice. Surprisingly, it did taste pretty close to a true bellini, but I’m not sure that I could justify the purchase again on a return visit – it’s mostly just a fun novelty. 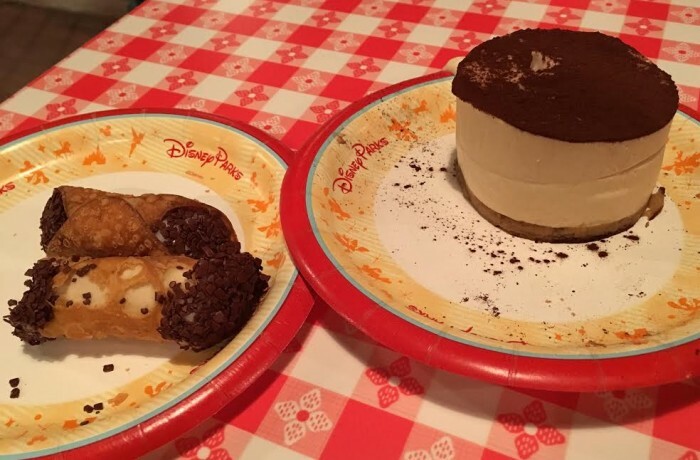 I’m not normally one for quick service desserts (especially when the prepackaged Disney chocolate cake is involved), so I was interested to see how the two unique options here at PizzeRizzo would shape up. The cannoli (2 mini bites for $4.99) was definitely not worth the price – the vanilla cream inside was sweet and smooth with a few chocolate chips throughout, while the outer shell was crunchy, but ultimately, this ended up being four bites of food total. I much preferred the kid-friendly version of tiramisu – there’s very little of the coffee-drowned ladyfinger layer here (just a thin piece on the bottom), a small dusting of chocolate on top, and in the middle, a whole lot of cream. This was more a pudding dessert than anything else; sweet, tasty, and different from most standard options, but it wasn’t as good as Pizzafari‘s version or as close to the original as some would probably like. Overall, it seems like PizzeRizzo is an upgrade from Pizza Planet: much of the same food returns with a few new solid options. The atmosphere of the restaurant is vastly improved with a larger dining area and a few practical considerations regarding noise and crowd sizes. The menu is exactly what you’d expect from a quick service pizza location, and that’s just fine – it serves its purpose in a park that could always use a little boost in the food arena. It’s not just you, we loved the pizza also!